Bollystalgia! : Kapoor Khazana: Kapoors do Qawwalis! Kapoor Khazana: Kapoors do Qawwalis! Okay, so it's a given that I'm the Rishi Kapoor Fangirl #1 and I absolutely love him. One of the things I think he does better than ANY other hero in Filmdom is Qawwalis. 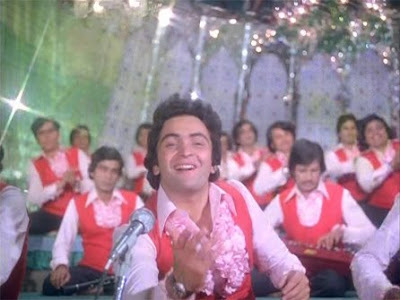 Rishi has been featured as the lead in many qawaali numbers, and I think he lends it unparalleled passion and panache. I find this song very addictive, musically. It's fun to see the interplay between Padmini and Raj Kapoor in this too. These Kapoor boys love dressing up in drag! Perhaps because they are all so Fair & Lovely. Shammi is impressively graceful and delicate in this. Seeing these two Kapoor brothers together on-screen is such a delight! 10+ minutes of pure entertainment, complete with Kapoor Brothers doing the twist together at the end. Lovely, lavish late 70s sets with chandeliers. Ranjeet tries his darndest to steal the show, but the show is definitely all Shashi's! A beautiful, sweet and simple qawwali with a super young Shash! This time Shashi is joined by the young and dashing Danny Denzongpa and Asrani. They're all dressed up in their finest brocades and fake moustaches. There's so much to love here ... a large red velvet ballroom, chandeliers, Kishore Kumar's voice, Amjad Khan and a very enthusiastic Shashi! Does anyone else think a bearded, moustached Shashi looks a bit like Mac Mohan? What can I say about this song? Besides being an excellent song in itself, Rishi is SO SO amazing in it. His smiles, his energy, his intensity and fervor are just unbeatable. How do you NOT fall in love with him watching this? And a word about Zeenat Aman ... gorgeous. Just gorgeous, and sparkly and wonderful. Again, such great energy! Right from the moment he LEAPS onto the stage. And Neetu Singh's adorable, coy looks make it even more fun to watch. It's nice to see Reena Roy here, but when it comes to Qawwali, Rishi steals the show! He's so dedicated and sincere. And wow, Tina Munim looks gorgeous too. This may be the definitive song that made me fall madly in love with Rishi. I just die for that part at 0:06 where they do the 3-frame close-up on his adorable smirk. SWOON. And the light-up floors and background and the sparkly vest are just icing. Seriously, if you aren't the tiniest bit charmed by Rishi's performance here, you have a bitter, dark soul. I love Shailendra Singh's voice for Rishi too, it just completely suits him. Boy, do I wish a guy would sing a qawwali for me in which light-up hearts make a beeline straight towards me in the middle. That's pyar. If you find or know of any Kapoor Qawwali gems I've missed, please do share them in the comments! Particularly any Rishi ones! I'm continuing to work on my Dance Like A Kapoor series (Karishma's up next!) and also have a few other thoughts to share for Kapoor Khazana, but things are certainly hectic in my world so here's hoping that I'll get to them. 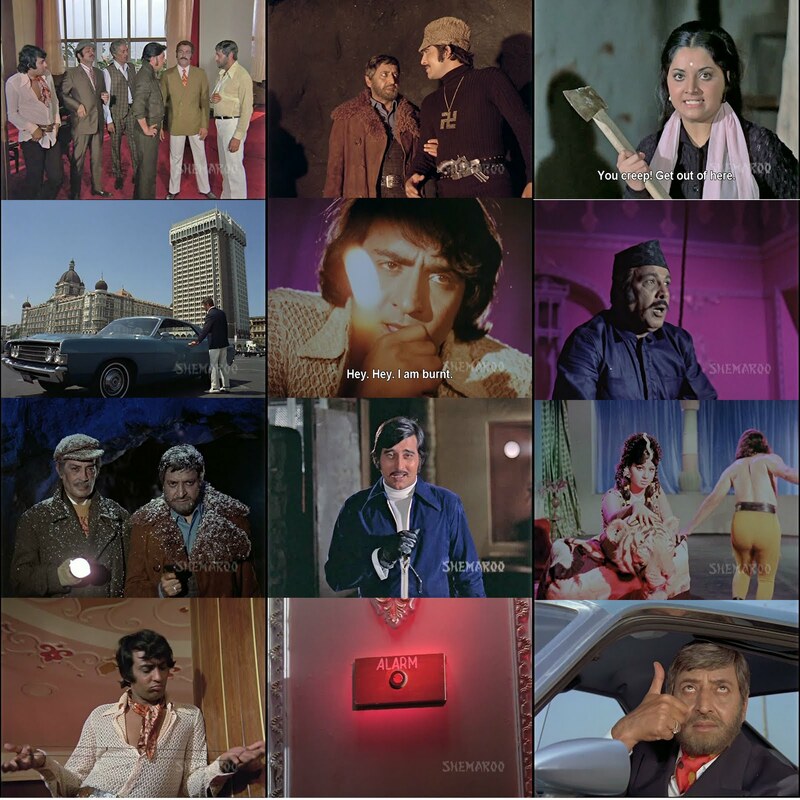 In the meanwhile, be sure to check out all the Kapoor Khazana links at this link. Also, pay close attention to Katherine's Totally Filmi blog as there may be some highlights about the Raj Kapoor Retrospective event being held during IIFA weekend in Toronto up on her blog soon! This is a such a brilliant post! I definitely downloaded all of these for some Kapoor qawalli time on the bus! Kapoor Khazana: Woo like Rishi Kapoor! 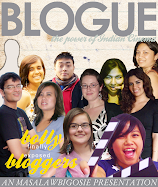 Don't forget to check out BLOGUE E-Magazine!! !